Picture Perfect provides a wide variety of custom holiday cards for cards for anything & everything including Christmas, Graduation, Birth Announcements or other special events. 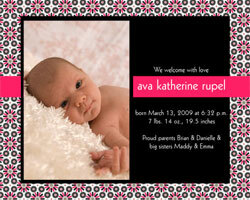 With your input we will customize a perfect card for you. Picture Perfect provides high quality framing with inexpensive pricing as a service to our customers. We have a wide variety of frames to select from. Check them out when you come to the studio. Looking for the perfect gift? These small keepsakes are a great way to show off your new portraits. We offer everything from charms and charm bracelets to pendants and sliders for your necklace, classy keyholders and our favorite item the Big Bang bracelet. All of our jewlery is sterling silver ans sealed with a liquid glass for protection. Make sure to take a look at all the other items that we have to offer! 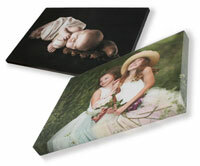 Wrap your Perfect Picture on fine art canvas. Portraits are on fine art canvas and wrapped around a stretcher frame. Available depths are 1-1/8" and 2-1/2". Additional framing is not required. A Storyteller is a multi-image print that is printed on a borderless on “E” surface or Metallic paper. It is a beautiful piece that is matted and framed.